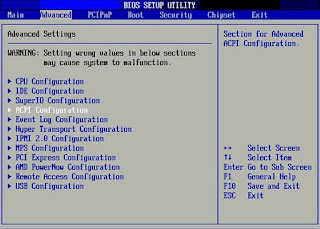 BIOS abbreviation Basic Input Output System, is a non-volatile firmware used to perform hardware initialization during the booting process of a computer. 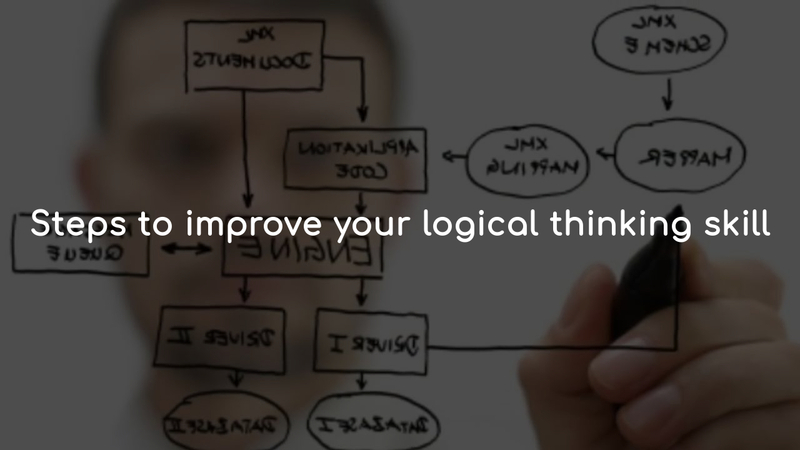 It provide runtime services for operating systems and programs. 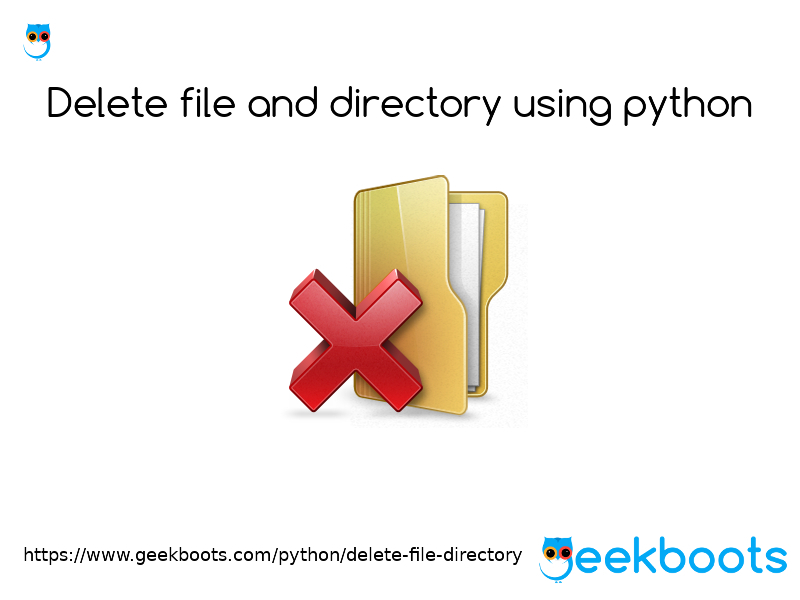 It also manages data flow between the computer's operating system and attached devices such as the hard disk, video adapter, keyboard, mouse and printer. 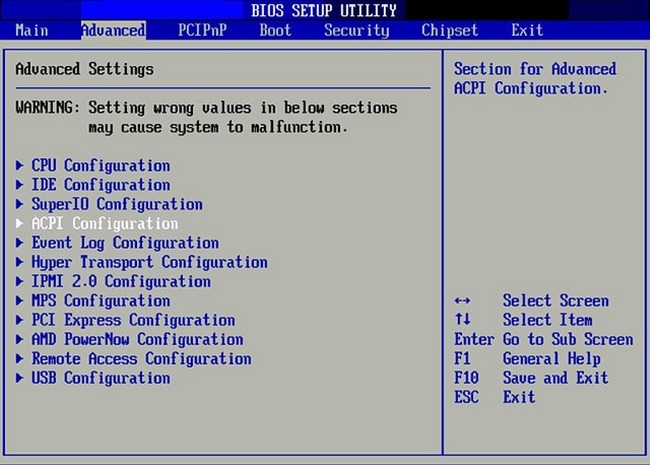 The BIOS includes instructions on how to load basic computer hardware and includes a test referred to as a POST (Power On Self Test) that helps verify the computer meets requirements to boot up properly. If the computer does not pass the POST, you will receive a combination of beeps indicating what is malfunctioning within the computer. The BIOS firmware comes pre-installed on a personal computer's system board. BIOS is a program that is made accessible to the microprocessor on an erasable programmable read-only memory chip. When you turn on your computer, the microprocessor passes control to the BIOS program, which is always located at the same place on EPROM. 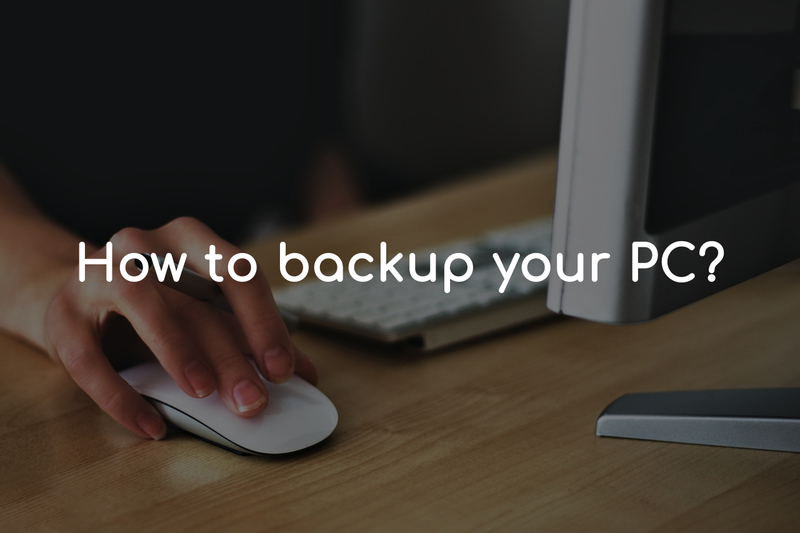 When BIOS boots up your computer, it first determines whether all of the attachments are in place and operational and then it loads the operating system into your computer's random access memory from your hard disk or diskette drive. BIOS boots by reading the first sector on a hard disk and executing it, this boot sector in turn locates and runs additional code. 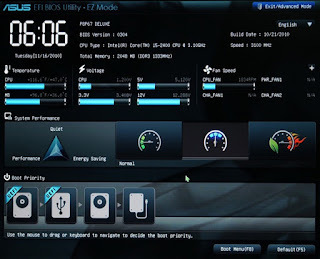 The BIOS system is very limiting because of space constraints and because BIOS runs 16-bit code, whereas modern computers use 32-bit or 64-bit CPUs. 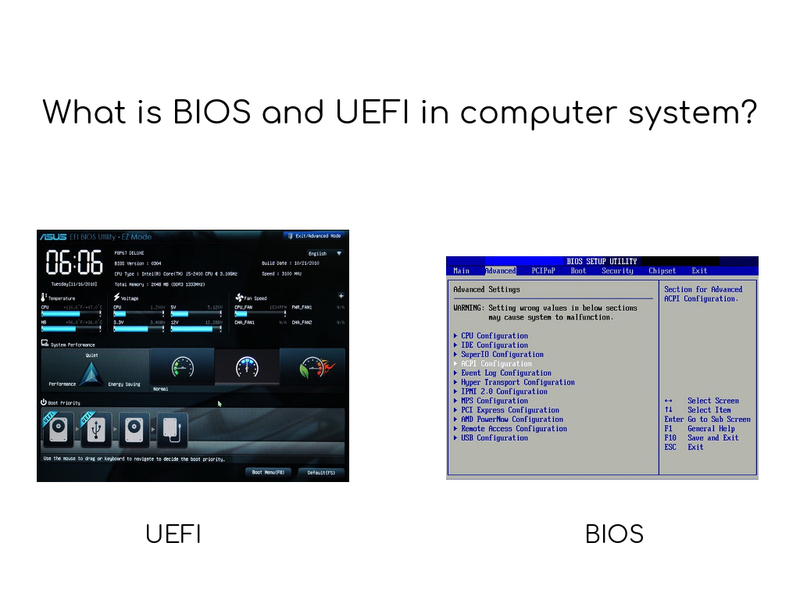 Unified Extensible Firmware Interface in short UEFI, is a low-level software that starts when you boot your PC before booting your operating system like BIOS. But UEFI is a more modern solution, supporting larger hard drives, faster boot times, more security features, and conveniently graphics and mouse cursors. By contrast, UEFI boots by loading EFI program files from a partition on the hard disk, known as the EFI System Partition (ESP). 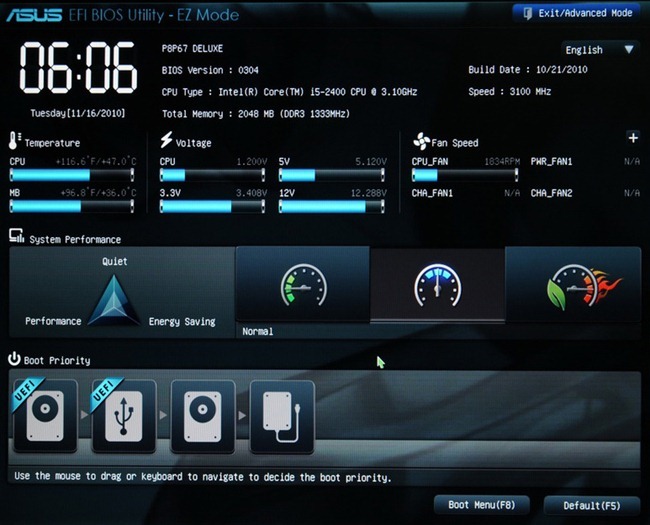 These EFI boot loader programs can take advantage of EFI boot services for things like reading files from the hard disk. This new standard avoids the limitations of the BIOS. The UEFI firmware can boot from drives of 2.2 TB or larger in fact, the theoretical limit is 9.4 zettabytes. That's roughly three times the estimated size of all the data on the Internet. That's because UEFI uses the GPT partitioning scheme instead of MBR. UEFI supports a feature called Secure Boot that's intended, as the name suggests, to improve security. It does this by requiring a digital "signature" of boot loaders, which in turn should require signing of kernels, and so on up the chain. This should make it harder for malware authors to insert their code into the pre-boot process, thus improving security. Different PCs with UEFI will have different interfaces and features. 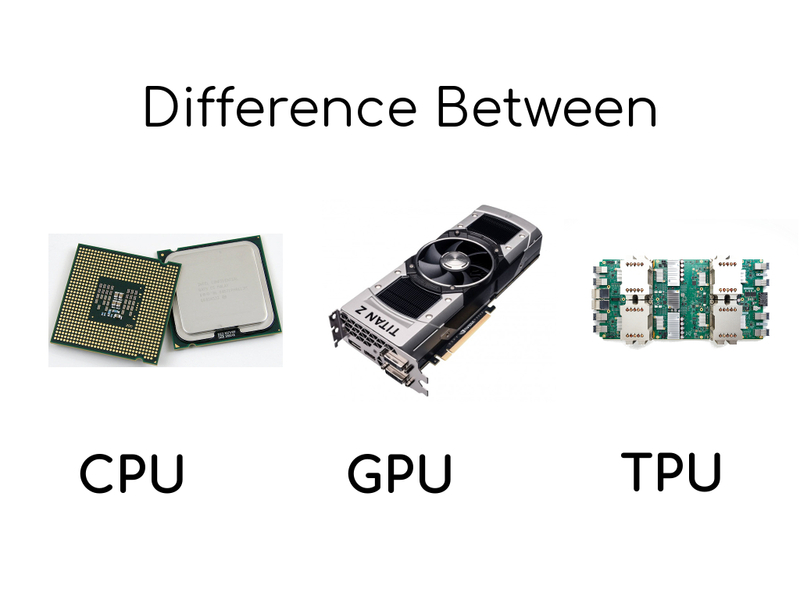 It's all up to your PC manufacturer, but the basics will be the same on each PC.